THERE WAS UPROAR last October when it was confirmed as part of the Budget that TDs would get a €5,000 pay increase. The basic salary of a TD had been cut from 92,672 to €87,358 under the terms of the Haddington Road public pay agreement. Under this same deal, civil servants, including TDs, who had their salaries cut began to have them restored from this year. For TDs, This restoration will take place in two tranches – the first a bump of €2,700 today and a further €2,700 later in January 2018. Sinn Féin’s Pearse Doherty, who has been critical of the pay boost for TDs, commented today that this was “not an April Fools’ joke”. And it really isn’t. TDs voted in November last year to approve this pay hike. When a motion by Sinn Féin to halt the move was tabled in the Dáil, the government and Fianna Fáil joined forces to pass a counter-motion by 91 to 39. “I won’t accept pay rise while government policy impoverishes others. TDs already paid too much,” Doherty said in a Facebook post, which included a picture of his declaration, gifting the money back to the Minister for Finance. For the Taoiseach, Táinaiste and ministers there will be higher increases as their pay is also restored. Email “'Not an April Fools' joke': First tranche of TDs' pay boost kicks in today”. 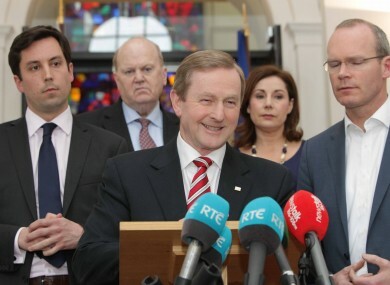 Feedback on “'Not an April Fools' joke': First tranche of TDs' pay boost kicks in today”.